The LORD determined to lay in ruins the wall of daughter Zion; he stretched the line; he did not withhold his hand from destroying; he caused rampart and wall to lament; they languish together. Her gates have sunk into the ground; he has ruined and broken her bars; her king and princes are among the nations; guidance is no more, and her prophets obtain no vision from the LORD. The elders of daughter Zion sit on the ground in silence; they have thrown dust on their heads and put on sackcloth; the young girls of Jerusalem have bowed their heads to the ground. My eyes are spent with weeping; my stomach churns; my bile is poured out on the ground because of the destruction of my people, because infants and babes faint in the streets of the city. They cry to their mothers, "Where is bread and wine?" as they faint like the wounded in the streets of the city, as their life is poured out on their mothers' bosom. What can I say for you, to what compare you, O daughter Jerusalem? To what can I liken you, that I may comfort you, O virgin daughter Zion? For vast as the sea is your ruin; who can heal you? Your prophets have seen for you false and deceptive visions; they have not exposed your iniquity to restore your fortunes, but have seen oracles for you that are false and misleading. All who pass along the way clap their hands at you; they hiss and wag their heads at daughter Jerusalem; "Is this the city that was called the perfection of beauty, the joy of all the earth?" Listen, I will tell you a mystery! We will not all die, but we will all be changed, in a moment, in the twinkling of an eye, at the last trumpet. For the trumpet will sound, and the dead will be raised imperishable, and we will be changed. For this perishable body must put on imperishability, and this mortal body must put on immortality. When this perishable body puts on imperishability, and this mortal body puts on immortality, then the saying that is written will be fulfilled: "Death has been swallowed up in victory." "Where, O death, is your victory? Where, O death, is your sting?" The sting of death is sin, and the power of sin is the law. But thanks be to God, who gives us the victory through our Lord Jesus Christ. Therefore, my beloved, be steadfast, immovable, always excelling in the work of the Lord, because you know that in the Lord your labor is not in vain. At that time Jesus went through the grainfields on the sabbath; his disciples were hungry, and they began to pluck heads of grain and to eat. 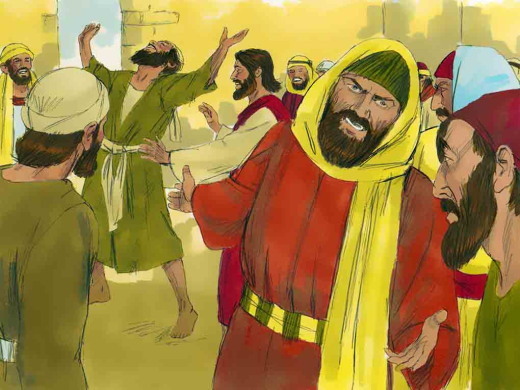 When the Pharisees saw it, they said to him, "Look, your disciples are doing what is not lawful to do on the sabbath." He said to them, "Have you not read what David did when he and his companions were hungry? He entered the house of God and ate the bread of the Presence, which it was not lawful for him or his companions to eat, but only for the priests. Or have you not read in the law that on the sabbath the priests in the temple break the sabbath and yet are guiltless? I tell you, something greater than the temple is here. But if you had known what this means, 'I desire mercy and not sacrifice,' you would not have condemned the guiltless. For the Son of Man is lord of the sabbath." He left that place and entered their synagogue; a man was there with a withered hand, and they asked him, "Is it lawful to cure on the sabbath?" so that they might accuse him. He said to them, "Suppose one of you has only one sheep and it falls into a pit on the sabbath; will you not lay hold of it and lift it out? How much more valuable is a human being than a sheep! So it is lawful to do good on the sabbath." 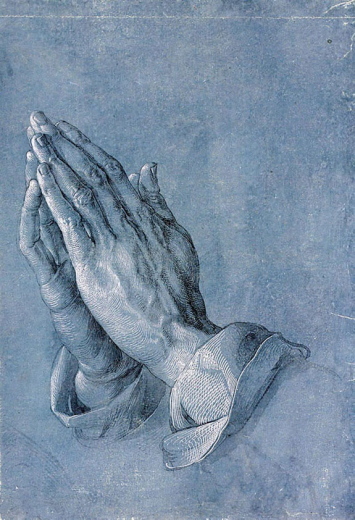 Then he said to the man, "Stretch out your hand." He stretched it out, and it was restored, as sound as the other. But the Pharisees went out and conspired against him, how to destroy him. Imagine you are climbing up the mountain of the Lord. As you start the path is wide with beautiful trees and flowers along the way. You fill your lungs with the cool, clean air. As you continue you notice the path is becoming narrow and steep. There seem to be more rocks sticking up from the ground. You find yourself a little out of breath as the air becomes thinner the higher you climb. You decide to rest on a large rock to catch your breath. You look up the path to see how much more you need to climb. You see someone in the distance. He’s looking at you. It looks like his hand is waving for you to come. Though you are alone, you are not afraid. In fact, you feel a pull, a desire to go this person. You are standing in front of him. He is dressed in long robes that are moving gently in the mountain air. He smiles at you and asks, “What are you seeking on this path?” What do you say to him? What are you seeking? “I am the prophet Isaiah. This is the mountain of the Lord. It is rich with life and dreams. What dreams do you bring to this place?” What are the dreams you bring to this mountain? What are your dreams that you want to share with the Lord? Isaiah looks at you with eyes that know how to dream. “My dreams beat swords into plowshares. They are dreams of peace, of life, of hope.” What are the swords in your heart that need to be changed? What are the swords that wound you and hold you back from dreaming and from climbing the mountain of the Lord? Give those swords to Isaiah, the prophet, the dreamer. Ask him to help you change them into something life-giving. Lord, let me find the swords in my heart and bring them to you, to be reshaped. Amen. Scripture taken from The Holy Bible, English Standard Version. ESV® Text Edition: 2016. Copyright © 2001 by Crossway Bibles, a publishing ministry of Good News Publishers. Imagine you are climbing up the mountain of the Lord. I would imagine that Moses was probably dirty, sweaty, and stinky from shepherding as he stood on holy ground before the LORD. I’m sure he was keenly aware of his filth and stench, both physically and spiritually. As he slipped off his shoes, I imagine he hid his face in fear. Moses admitted that he didn’t feel adequate for the assignment that he had been given. He wasn’t confident in his abilities to get the job done. But God had a plan and Moses was His man. Through ten plagues and many signs and wonders, God flexed his muscles through Moses. Once Pharaoh had finally let God’s people go, Moses led the Israelites out of Egypt. No compass was necessary. God led His people through the desert with a pillar of clouds by day and a pillar of fire by night. It must have been an amazing sight. It must have been thrilling…up until the point where Pharaoh’s army was closing in on them as they approached the Red Sea. Talk about being faced with a seemingly impossible situation! Moses and around two million of his closest Hebrew friends stood at the edge of the water with nowhere to go. They were trapped. They were terrified and cried out to the LORD (Exodus 14:10). But God was on time for the miracle show. He had a plan. He made a way. Moses answered the people, “Do not be afraid. 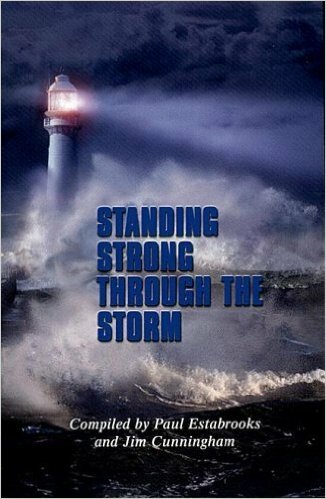 Stand firm and you will see the deliverance the LORD will bring you today…The LORD will fight for you; you need only to be still” (Exodus 14:13). God purposed this extravagant rescue for His glory. The Lord will fight for you. 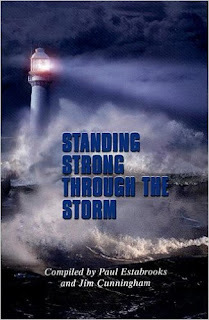 When God is on our side, fighting for us, we can certainly be assured of victory. Even if it doesn’t look like we expect it to look. The Israelites were saved, and Pharaoh’s army was destroyed - all under the watchful eyes of the LORD. God wanted to be glorified through a seemingly impossible situation. He wants to be glorified through the difficult situations that you face, too. When we stand with Christ, we stand with power. What Red Sea are you facing? Nothing is impossible with God. When you set aside your doubts and call on the name of the LORD, you can face the waters of your circumstances with a strong confidence, knowing that God is able and willing to do great things in and through you. Continue to follow the leading of the One who led with pillars of clouds and of fire. He is faithful and you can trust Him. Dear God, Like Moses, I often feel unequipped to handle the assignments You have given me. You know exactly what I face today. Please help me to not give in to the fears, frustrations, and doubts that mock me. You are far more powerful than the circumstances of my life. Thank you for reminding me that nothing is too difficult for you. What is God asking you to trust Him in or through? Spend a few moments in prayer over this. Then visit my blog we can take the conversation deeper. Leave a comment about what God is calling you to trust Him with today. 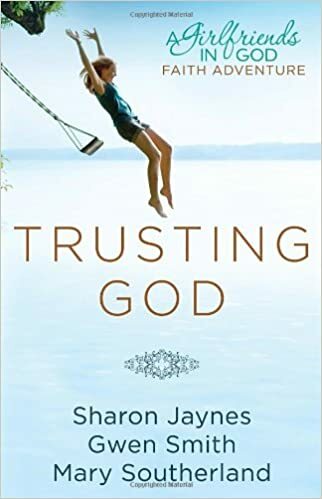 SPECIAL OFFER: If this message is where you are and you need more practical help, Gwen is offering a 20% OFF discount on the Trusting God book from her site when you use the coupon code: 20OFF. Click here to get yours now. LHM Daily Devotion - October 25, 2017 "Crying Wolf"
We can all remember the childhood story of the boy who wrongly cried, "Wolf!" He got great pleasure out of watching his friends respond to his false alarms. Unfortunately, the lad did this so many times his fellow villagers stopped believing him. The last time he called for help, the people no longer were inclined to listen, and the lad ended up being supper for the wolf pack. That's a sad story. Yes, we all know that story, but has anyone ever heard the counterpart, the opposite of that story? Has anyone ever heard about the boy who, when a wolf was present, didn't sound the alarm? Actually, most of us have. According to the timeline reported by ABC World News Tonight, the staff at the Las Vegas Mandalay Bay Hotel didn't let the police know anything was wrong until after Stephen Paddock started shooting at the 20,000 concert-goers. No, they didn't cry "Wolf!" and they didn't cry "Shooter!" • They didn't call out "Shooter!" when security guard Jesus Campos informed the hotel authorities he had been shot in the leg. • Nor did they cry "Shooter!" when a maintenance engineer Stephen Schuck reported someone had taken a shot at him. Schuck said, "Call the police! Someone is firing a gun up here. Someone is firing a rifle on the 32nd floor down the hallway." Those shots in the hotel took place a full six minutes before Paddock opened up on the concert. Although nobody can say what might have happened if the police had been given those six extra minutes, I'm willing to suggest things couldn't have gotten much worse. Sadly, the same sort of thing is happening in the religious world. More and more pulpits are choosing to silence themselves and refusing to call wolf and warn people about the dangers of sin. 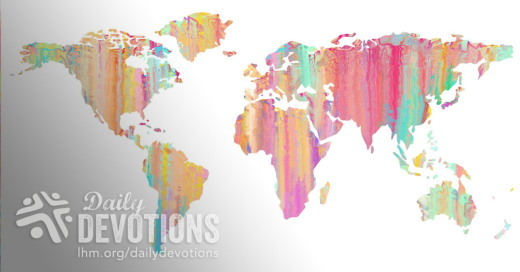 In short, even though sin can kill eternally, these churches are not shouting any warnings. High up on these pastors' reasons for not preaching about the dangers of sin is they say "Jesus accepted everybody just the way they were. And since Jesus told us not to judge, we would be overstepping our boundaries by pointing out people's flaws and failings." In reply, pastors who are loyal to the Word, say, "It's true, Jesus did accept everyone the way they were, but He didn't leave them that way." More than once the Savior told people to go and "sin no more" (see John 8:11). If Jesus didn't believe in pointing out sin and calling people to repentance, why did He do so Himself? Matthew 4:17 says, "From that time Jesus began to preach, saying, 'Repent, for the kingdom of heaven is at hand.'" The truth is Jesus was born to save us from our sins, not let us sit and stew in them. John said it better than I when he wrote, "He is the propitiation for our sins, and not for ours only but also for the sins of the whole world." THE PRAYER: Dear Lord, I give thanks that Your grace sent Your Son into this world to carry my sins and save my soul. Grant that pulpits may proclaim the wonders of Your love and the greatness of Jesus' sacrifice to save us from sin. In His Name. Amen. No nos cansemos, pues, de hacer el bien; porque a su tiempo cosecharemos, si no nos desanimamos. En 1952, después de sufrir un accidente automovilístico, John Hetrick inventó un mecanismo de protección que luego se convertiría en la primera "bolsa de aire". Lamentablemente, dado que la patente de su invento expiró antes que los fabricantes de autos la utilizaran, nunca recibió ni un centavo por su brillante idea. Sin embargo, Hetrick no está para nada amargado. Al contrario, él dice: "El sólo hecho de poder salvar la vida de miles de personas, hace que valga la pena". Sin lugar a dudas, Hetrick es un buen ejemplo de sufrida paciencia. Paciencia es una cualidad que la mayoría de nosotros no poseemos. La mayoría de nosotros no somos como Hetrick, y mucho menos como Jesús, quien mostró una increíble paciencia con sus seguidores. La mayoría de nosotros nos disgustamos cuando somos ignorados u olvidados. Y con seguridad nos molestamos cuando alguien no nos da el reconocimiento que creemos merecer. Ahí es cuando empezamos a pensar: "¿De qué sirve tratar de mejorar en obrar, planear, o cuidar? ¿De qué sirve, si igual a nadie le importa?" Cuán agradecidos debemos estar que Jesús nunca adoptó una actitud semejante. La indiferencia y oposición de otros podrían haber desviado a cualquier otra persona. Pero Jesús no fue como cualquier otro... él fue el Hijo de Dios, nuestro Salvador, quien se rehusó a rendirse ante la tentación de desertar. Su compromiso es digno de imitar. Hacemos lo que hacemos, porque así le damos gloria a él y beneficiamos a nuestro prójimo. 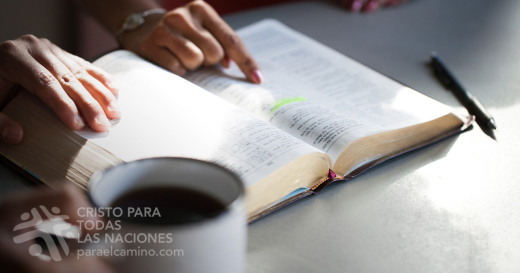 Vivir la vida en forma cristiana porque es correcto y complace a Dios, debería ser suficiente para continuar. ORACIÓN: Señor Jesús, te doy gracias por tu fidelidad y tu sacrificio. Ayúdame a realizar tu obra y tu propósito sin desmayo. Amén.